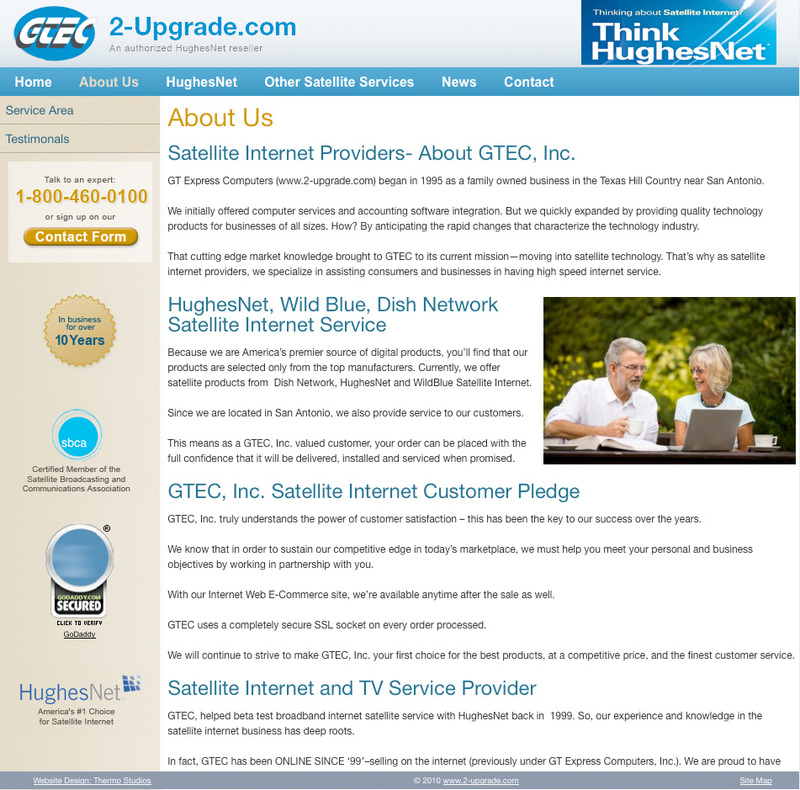 GTEC, a small satellite internet installation business, came to us needing a website redesign. 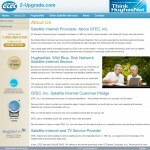 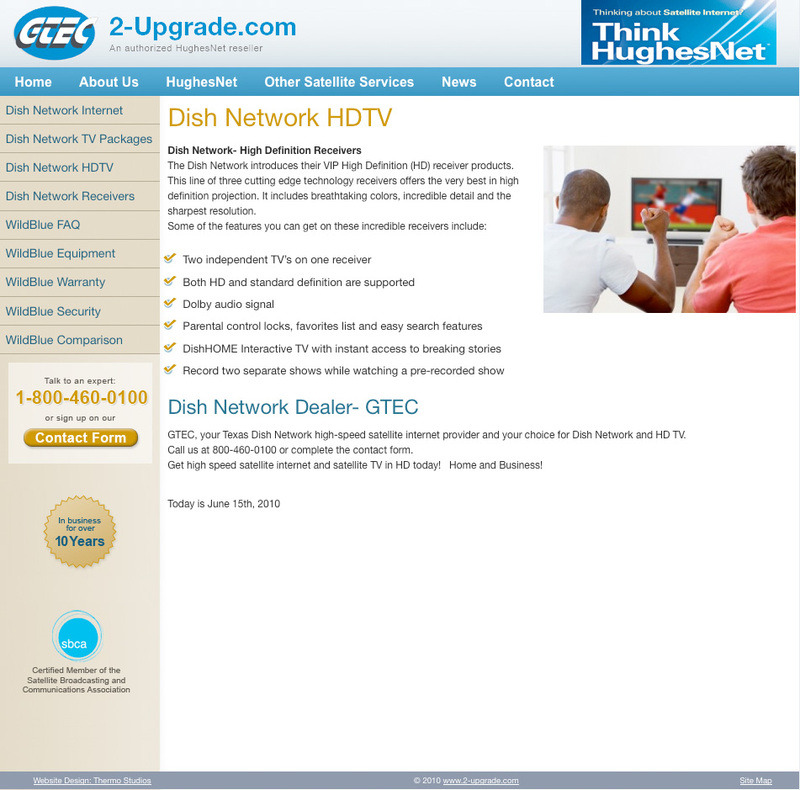 The website design for satellite TV customers needed a fresh look and site optimized for search engines. 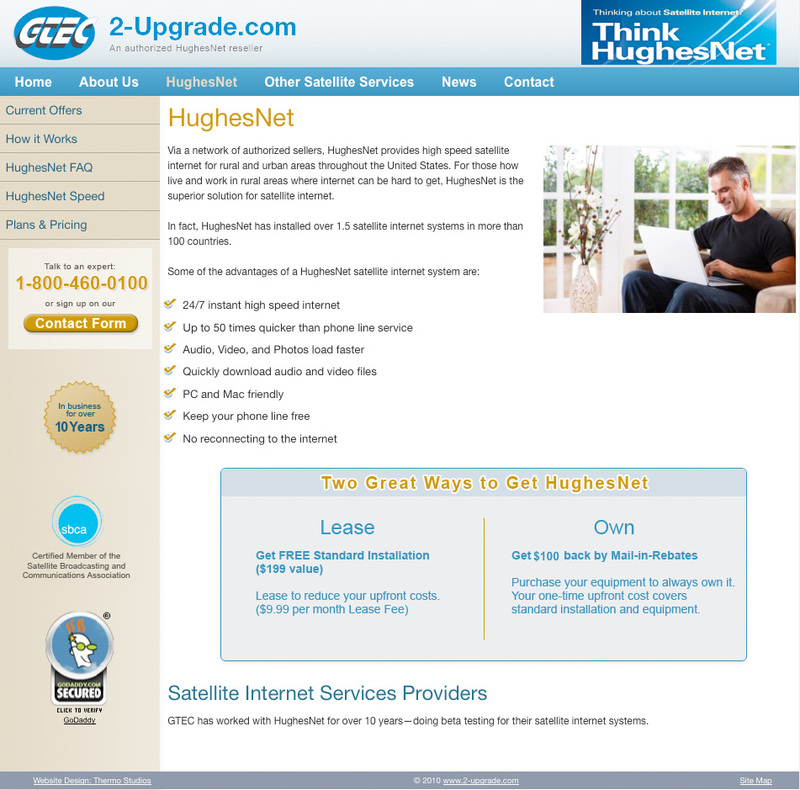 We built a custom website with a compelling homepage, designed to pull in traffic and drive them to the “request a quote” form. The client came to us with plenty of content from their previous website which we then used to make keyword-rich meta tags, filling their search engine optimization needs. 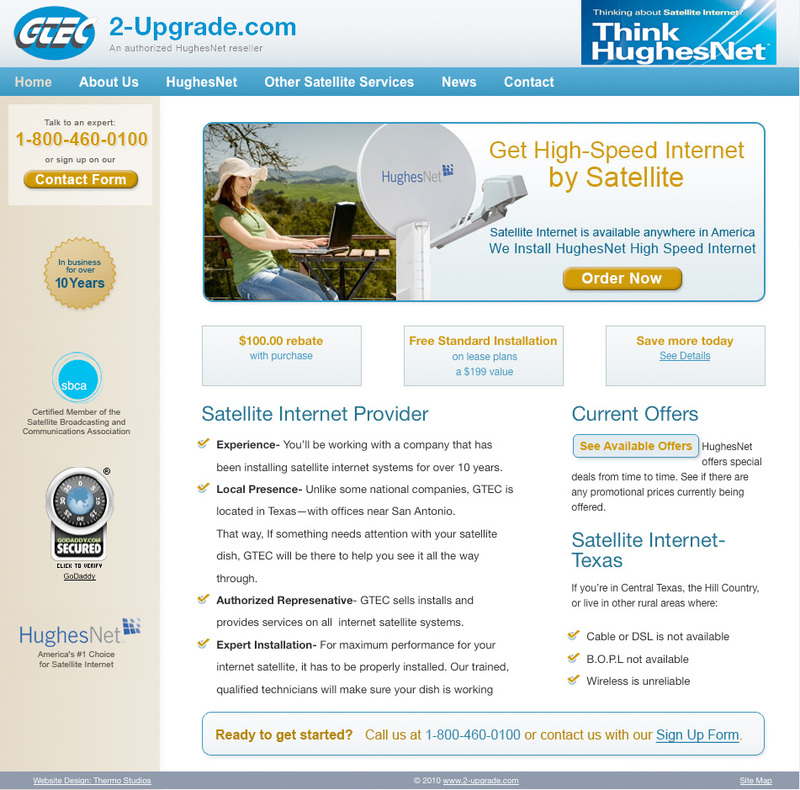 We built the website on WordPress making it easy for the site owner to update and modify their content while also growing their website.